Just in time for spring we bring you a review of the lightest bourbon in the Jim Beam Small Batch collection. Like most bourbon namesakes, Basil Hayden was historically significant to the great state of Kentucky: he established our very first Catholic church back in 1785! For those of you who are fans of Old Grand-Dad, the bust on the bottle is Basil Hayden himself and he IS Old Grand Dad. So Basil Hayden is a bourbon onto itself, and a bourbon by another name. At the same time. Most bourbon lovers default to higher proof, bigger bodied bourbons. But Basil Hayden is a light bodied and elegant warm-weather sipper. Its as smooth as James Bond (in fact, its his bourbon of choice!) and has all the aromas of springtime. When I nosed my pour, I got all green grass, fresh white flowers, and citrus. This is an 8 year-old bourbon, but I smell new wood. The body is obviously light (Basil Hayden is 80 proof, people). There is no bite on the first sip – so new bourbon lovers might appreciate this more than a scorcher. There is still some nice pepper and spice from the high-rye mash bill and a moderate floral flavor. The finish is light, quick, sweet, and makes me smile. Look, Bourbonites – you all know I like viscous, hot, obnoxious bourbons. But for the Spring and Summer, I reach for Basil Hayden. Every bourbon has its place, and this should be on your shelf. Its a beautiful bottle and is priced around $40 a fifth. For the flavor, value, and season, I give Basil Hayden bourbon a B-. Do it with a nice ice cube in the summer, or as a whiskey sour mixer and Basil Hayden will please the crowd! 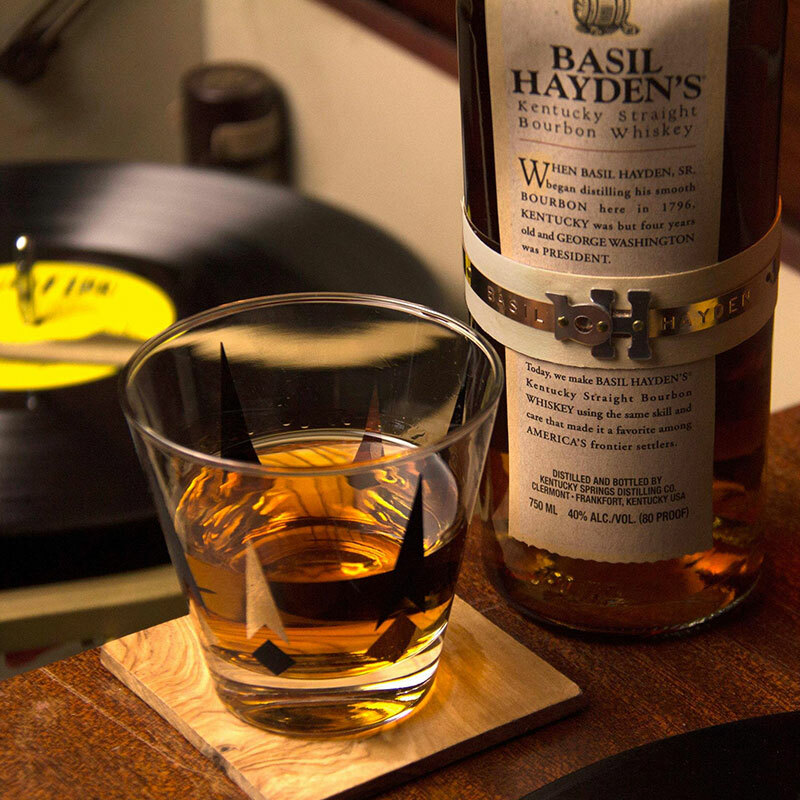 Have a bottle of Basil Hayden Bourbon delivered directly to you.